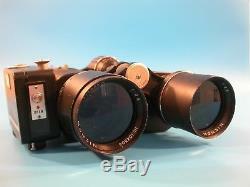 NICNON 7X50 Binocular w/ Ricoh Half Frame Motorized Camera IDF Israeli Military. 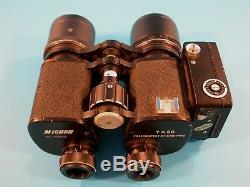 Here for sell is this NICNON 7X50 Binocular w/ Ricoh Half Frame Motorized Camera IDF - Israeli Military. BUT, You never seen one like that, with the chance to have it for your own collection. 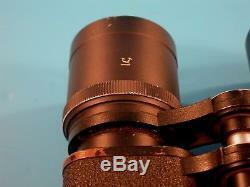 The Hebrew letter " " engraved on the binocular's left barrel, indicates that. THIS ITEM OWNED and USED by the IDF (Israel Defense Forces) - ISRAELI MILITARY. Every single part of this item, shows and tell what it have been go through. 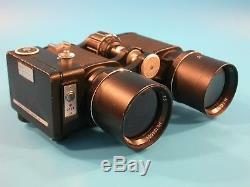 This is a Nicnon binocular combined with Ricoh Half Frame 35mm camera and 165mm 1:3.5 lens. Made by Nichiryo International Corporation. 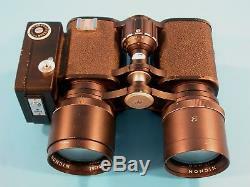 First, mechanically, the binocular and camera are in great working order. 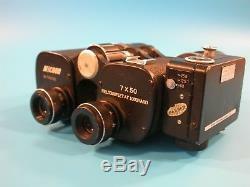 Auto winding & film advance are working good, aperture is smooth and the 3 shutter speeds are accurate. 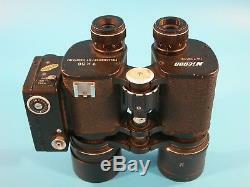 Binocular's focus and eyepiece's diopters correction work smooth and accurate. 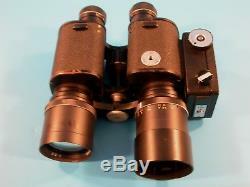 Rubber eyepieces are missing, binocular & camera bodies show wear (fair). Optics: in general, the glasses are clear but they have dust and some other specks inside. Both prisms have fungus, and the left one also has a small part chipped off at the edge. Never the less, the visibility is very good and clear. 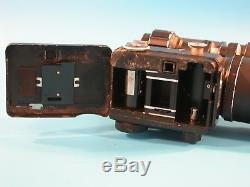 No, it is not as perfect as other items (like that one) may seen, but it has its own character. 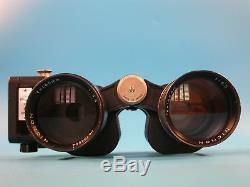 Finally: whatever collector you are, Militaria or Photo or Optics. 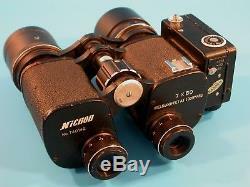 The item "NICNON 7X50 Binocular with Ricoh Half Frame Motorized Camera IDF Israeli Military" is in sale since Tuesday, October 17, 2017. 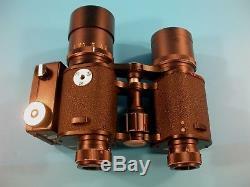 This item is in the category "Cameras & Photo\Binoculars & Telescopes\Other Binoculars & Telescopes". The seller is "tvlf4f3" and is located in Rehovot. This item can be shipped worldwide.